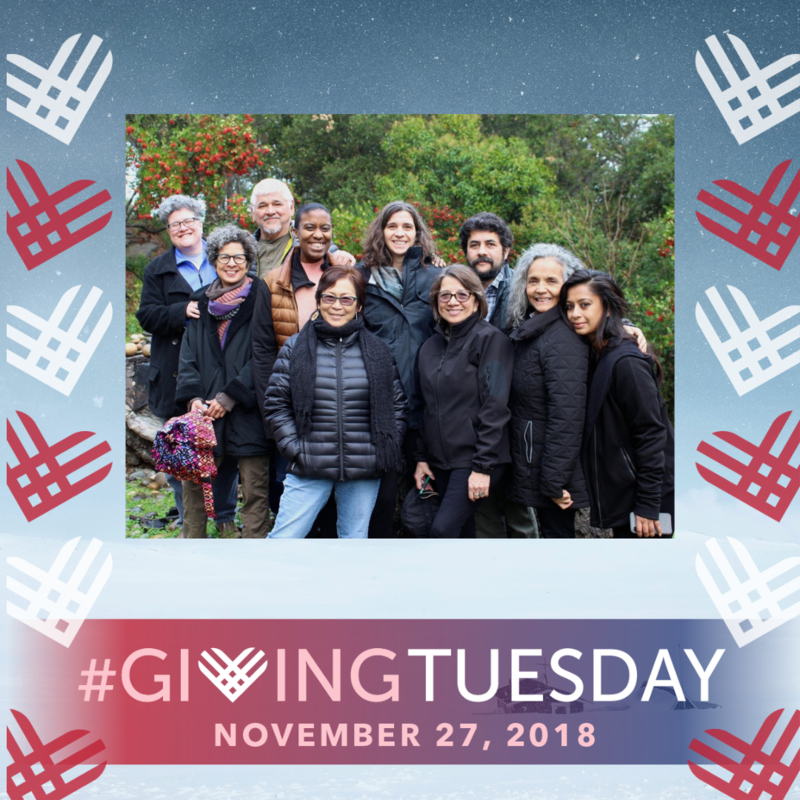 #GivingTuesday kicks off the Season of Giving 2018 -- closing a year in which justice, human rights and the safety and stability of immigrant communities and people in migration have been under daily attack, before and after the midterm elections. NNIRR asks for your support today to help us strengthen capacity and voices in the defense of the human rights of all immigrants and refugees -- for our collective, immediate work and for the long road ahead. Donate here to NNIRR on Facebook, and possibly double your contribution! During these recent days and weeks, our attention -- and outrage -- has been focused on the situation of the "migrant caravan" that has been making its way from Central America and through Mexico, approaching the U.S. border to be met by military-supported enforcement agents, Cortina wire on barriers, tear gas, rubber bullets and the authorization of the use of force against them. In an unending string of tweets and slander of the migrants, Trump rants about denying rightful access to asylum applicants and threatens to close the border with Mexico. Still, we are heartened and inspired by the fervent movement of resistance, resilience and solidarity: the incredible generosity and support by thousands of people and institutions in Mexico, where even the poorest communities have shared what little they have with people walking, carrying babies and with children in tow, determined to leave the violence and uncertainty of their lives in Central America. There has been a constant flow of legal and humanitarian supporters from the U.S., fundraising, and the gathering of clothing and goods for the shelters. Legal and mass actions are in play. In the U.S. and at international levels, where we work with our civil society partners committed to the same human rights mission, the dynamics of racism and xenophobia continue to press on policies and practices that aim to deny human rights and deter migrant residence and inclusion. Against this backdrop, a new UN Global Compact for Migration, will go forward next month as a non-binding agreement that proposes greater global cooperation towards migration that is safe and dignified. But it's our organizing and advocacy that's key to push governments to fulfill this potential. There are no limits to our collective action! Join us and contribute to justice today! To our new and old friends and supporters, please join us to increase our resources and capacity during one of the most challenging periods ever for NNIRR. Thanks to those who have already made donations and joined as members over this past year. Now we are asking all of you to step up and lend your support. Donate today, on #GivingTuesday, on NNIRR's Facebook page for eligibility for a matching donation. Click here to make an easy, direct online donation. Become a monthly or quarterly sustainer which guarantees steady and consistent funding to support ongoing organizing. Go to our Donate page and click on the "recurring contribution" button to select options as a sustainer. Become a member by joining as an individual member or as an organizational member. We thank you for your enduring solidarity and support!